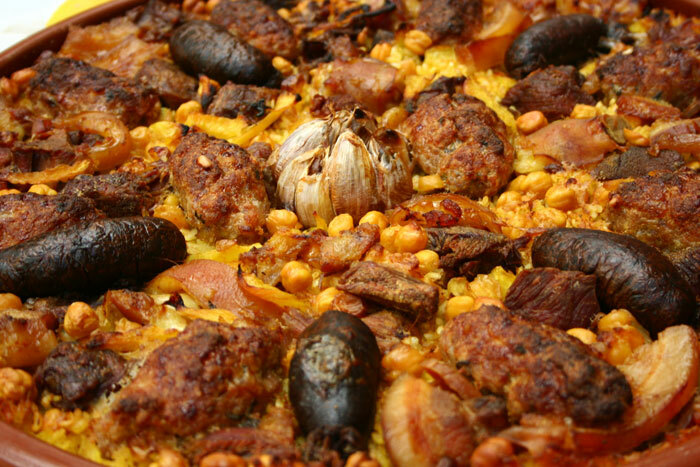 The Spanish gastronomy and specifically the valence is well known for its wide variety of dishes, with rice (Paella) as the main ingredient in the region: the town of Sueca is the center of production and investigation of rice in Spain. 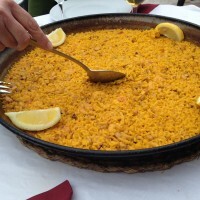 It is in this area more than a century ago that the famous paella was born. Since then, it has crossed all boundaries to eventually achieve worldwide fame. 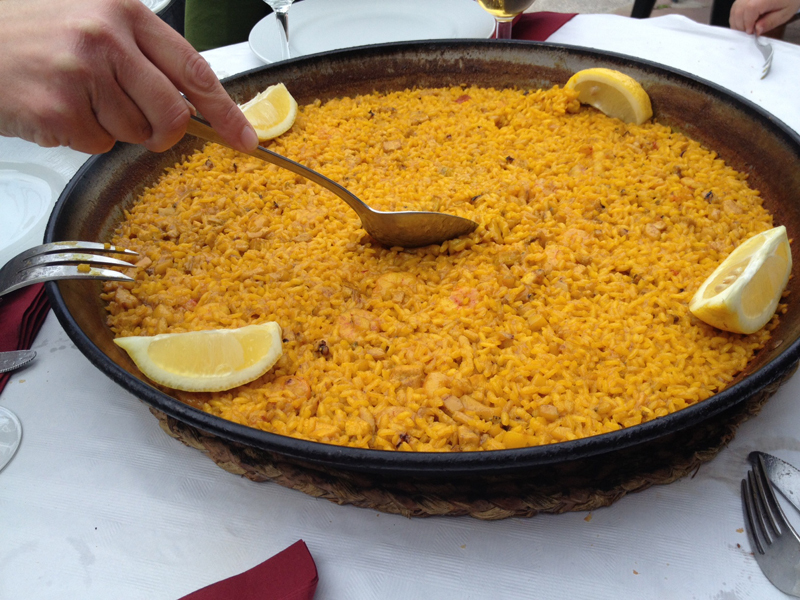 You can taste the real paella here and you can enjoy all the different flavours depending on the season, because each season adds a different taste to the paella! 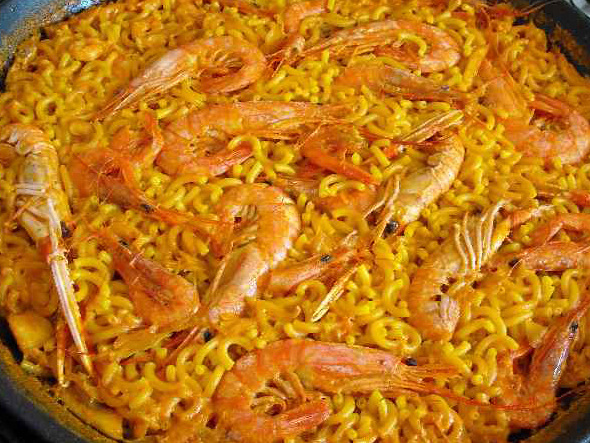 But the paella is not the only dish invented in the Valencia area, there are many other dishes, always accompanied by vegetables from our orchards , fish from our shores and the best seafood of our coastline. 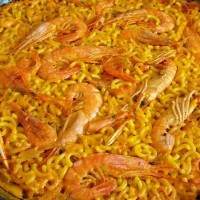 Don’t forget to try the fideua that some people define as a version of paella with seafood and pasta instead of rice. 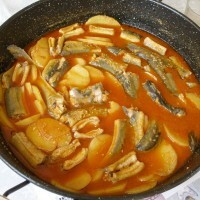 You should also taste the famous all i pebre (eels and potatoes), not as well-known as the paella, but also delicious. 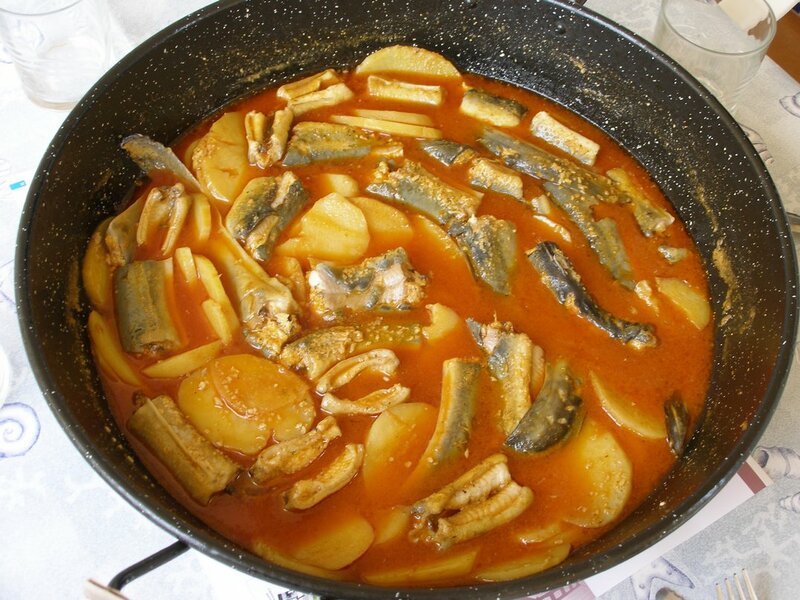 The eels are from the shores of Lake L’Albufera, a few kilometers south of Valencia. This large lagoon has hosted eels for centuries; they come to breed each year in its waters and then make their trip to the Caribbean islands. 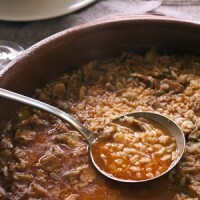 It is the favourite dish of the local Fishermen and thanks to them we can enjoy today an excellent delicate dish. 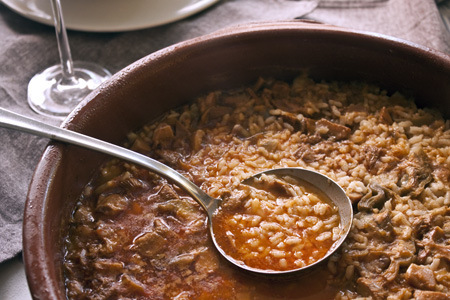 The sweet specialties of this region often have Arabic origins, but their names are Catalan, the regional language : sagi hulls of cacau , morena , of carabassa , pastissets Nadal , rotllets Sant Blai , rotllets anise panou , arnadí , pumpkin fritters , etc. …. They are often related to a local fiesta and its traditions. 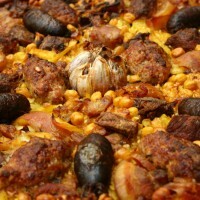 The are many varieties of tapas and specialties: snails, esgarraet, clams, squid, mandonguilles , to name but only a few . 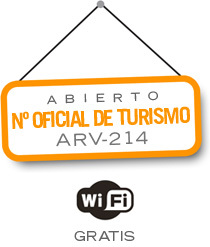 Wines : Alto Turia , Valentino, Muscat, Clariano , Cava . Soft drinks: horchata, iced lemon, iced coffee, meringue milkshake with cinnamon and nougat ice cream.